Update | Sky Sports will relaunch its channels on the 18th July, in a long-anticipated revamp of the Sky's sports offering. From the 18th July, new sports packs will go on sale, meaning it will be possible for subscribers to select which sports channels they want to watch, based on the sports they like watching, so for example, cricket fans will be able to opt to subscribe to just Sky Sports Cricket. One channel pack will be available for just £18 per month, two for £22 and three for £26. The new package of ten channels is available for the same price (£27.50 per month), which will remain frozen for 12 months. Existing customers will receive the new Sky Sports package automatically and the new channels will replace the existing line-up. 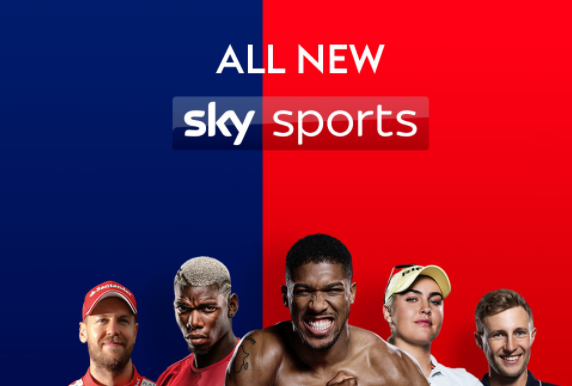 Users of Sky's NOW TV service will continue to access Sky Sports as before, with options to buy daily, weekly or monthly passes to access the suite of Sky Sports channels. Virgin Media customers who already get Sky Sports will automatically receive the new channels from the 18th July. TalkTalk TV users with the "Sky Sports boost" will automatically get the new channels as part of their current subscription. BT TV will continue offering its subscribers a reduced service, revolving around the Sky Sports Main Event channel. What's on the new channels? A selection of the big sports events being shown across Sky Sports. With coverage of 126 Premier League games each season. The home of the EFL, Carabao Cup, SPFL and La Liga, plus Euro 2020 qualifiers. As before, Sky's F1 channel with coverage of every practice, qualifying and race live. Every race in UHD on SkyQ. All of the action from International and European Rugby Union, Rugby League, Tennis, Boxing, NFL, GAA, Darts and WWE. 24/7 sports news from Sky - and appears to have dropped the "HQ" suffix. As before, providing entry-level access to a selection of events.